Last weekend had tons of racing across the country with a number of memorable performances. Here’s the DragChamp Top 10. Cory Gulitti dominates at the ACE Ohio Events Fall Shootout at Dragway 42. The 17-year-old Texan wrecked the field on Friday winning both the $20k main event and the $10k 64 Car Shootout. This is just one of several big races Cory has won or made the final round this year and the funny thing is that he’s still eligible to run juniors through the end of the year. Click here to watch some cool video footage of Cory wearing out the competition. Jake Howard doubles at Division 4 Bracket Finals at the Texas Motorplex. Howard will be taking two entries to Pomona later this year after another impressive run at the Texas Motorplex. Howard won both the PRO ET and Sportsman classes at the Division 4 Summit Series Finals over the weekend so he’ll be making another trip to Pomona. Earlier in the summer, Jake doubled at Tommy Phillip’s Lone Star Summer Shootout which was also held at the Texas Motorplex. Randell Reid wins the Division 4 Bracket Finals months after claiming the Spring Fling Million. Reid can check off yet another bucket list accomplishment this year after his Bracket Finals win at the Texas Motorplex. While most racers only dream of winning the Million or the Bracket Finals once in their career, Reid has won both this year alone. 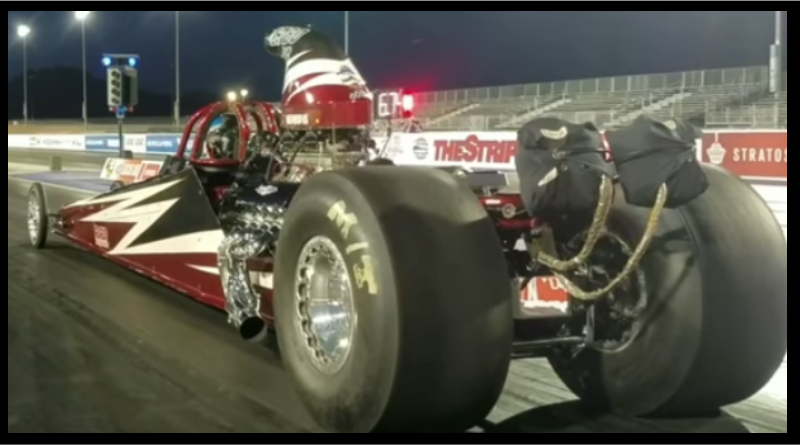 Chris Garretson drives his 130 mph Super Comp dragster to the top of the national standings. With a runner-up finish at the Dodge NHRA Nationals at Maple Grove Raceway, Garretson moved into the lead in the national points chase. What makes it unusual is that Garretson’s weapon of choice in the highly competitive world of Super Comp is a 130 mph dragster. With most racers running 170-plus, Chris has gone the opposite direction and it’s working. Justin Lamb wins again. Nothing new here, Lamb picked up another LODRS Wally at Woodburn Dragway in his Stocker which moved him into first place in the national standings. A year after becoming the third driver to win two world championship’s in the same year, Justin is poised to repeat as he once again leads the points in both Super Stock and Stock Eliminator. Devin Isenhower extends his points lead in Super Gas. With a fourth round finish at the Dodge NHRA Nationals, Isenhower may have put the Super Gas championship out of reach for the rest of the field. Devin now has a commanding lead heading into the last couple of months of the season. To top it off, he is also ranked number two in the world in Super Comp. Nick Bowman wins $5k at Sniper Series. It seems every week DragChamp is mentioning Nick’s name as he continues to rack up victories. Last week Nick took home a $5k win at the Snipes Series held at Keystone Raceway Park. Jeremy Hefler makes final at Division 4 Bracket Finals. There were several great stories coming out of the Texas Motorplex last week as several drivers made impressive runs. For Hefler, making the final at the D4 Bracket Finals is old hat as he, his brother Jeff and their late father Jerry, have owned the Bracket Finals in Texas for the last 20 years. Although he didn’t win, it was still an unbelievable performance for Jeremy who continues to dominate this race. Lane Ledford wins again. After an already impressive 2018 which included a number of big dollar bracket wins, Ledford cashed again at the IHRA Division 5 Summit Team Finals. Ledford captured the Gambler’s Race on Sunday taking the win over Jace Deering. DragChamp goes 3 for 4 at Dodge NHRA Nationals. After picking three racers in each of the four sportsman categories at Maple Grove (click here to see my picks), I looked like a Champ after my picks made the final in each of the four classes, three of which took home the Wally. For the weekend, I had Anthony Fetch who was runner-up in Stock, Ray Sawyer who won Super Gas, Mike Robilotto who won Super Comp, and 17-time world champ Anthony Bertozzi who collected the Super Stock Wally. This was coming off of my INDY picks where Devin Isenhower came through with the Super Gas win at the U.S. Nationals. DragChamp is the source for drag racing news online. Visit DragChamp daily for the latest in sportsman drag racing news and results.